We were thrilled to be working with Paul & Marion at Barrington Pottery once again, their journey has been remarkable. From humble beginnings to becoming a successful team working out of the majestic Barrington Court. 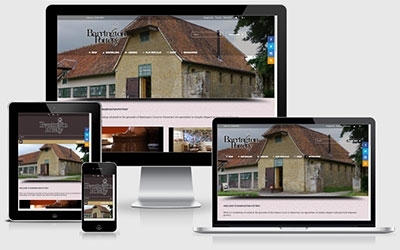 The next step for the Barrington Pottery website was for it to become a responsive, mobile-friendly application. We migrated the older Opencart system to the most recent version (2.0.3.1), installed a premium theme and tweaked thoroughly! Appearance is everything in website land and EDSA Designs did a grand job on creating ours. The site has already generated a lot of good reviews, and we will certainly be recommending their services to others that wish to make an impression with their websites.